A new exhibit at the United States Holocaust Memorial Museum blames the Roosevelt administration’s failure to aid European Jewry on public opinion, Herbert Hoover, and a couple of bad guys in the State Department – but never President Franklin D. Roosevelt. Most Americans recall FDR as a strong, decisive leader, but in this exhibit, he has been transformed into the Incredible Disappearing President. The exhibit begins by describing how some American Jews responded to the rise of Nazism by boycotting German goods and opposing U.S. participation in the Berlin Olympic Games. There is no mention of President Roosevelt’s opposition to the boycott, his support for taking part in the games, or his insistence on friendly diplomatic and economic relations with Nazi Germany in the 1930s. Obliged to respect Hitler’s brutality? Presidents Van Buren, Buchanan, and Grant protested the mistreatment of Jews in Syria, Switzerland, and Rumania, respectively. Theodore Roosevelt protested the persecution of Jews in Rumania. The U.S. government, under President William Taft, canceled a Russo-American treaty to protest Russia’s oppression of Jews. Woodrow Wilson inserted clauses protecting minorities in the Paris Peace Conference agreements. There was ample precedent for Franklin D. Roosevelt to speak out; he chose not to. The exhibit overflows with material concerning antisemitism, nativism and isolationism in America in the 1930s. 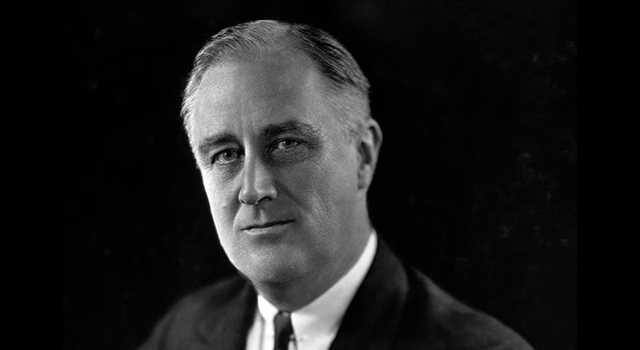 The argument is that FDR could do little or nothing to aid the refugees in the face of such strong public sentiment. Yet Roosevelt was not afraid to take on controversial issues that were important to him, even if they lacked wide public backing, such as his scheme to pack the Supreme Court. He also carefully monitored public opinion and worked to reshape it on issues he cared about. In any event, the president could have aided the Jews without provoking a public controversy, by quietly allowing the existing German quota to be filled. Yet FDR permitted that quota to be fully utilized in only one of his 12 years in office, and in most of those years it was less than 25% filled. More than 190,000 quota places from Germany and Axis-occupied countries were left unused from 1933 to 1945. The exhibit does not mention that clergy (rabbis), professors and students could have been admitted without regard to number. Nor is there any mention of the proposals for admitting refugees temporarily to U.S. territories such as Alaska or the Virgin Islands. Acknowledging these options would have conflicted with the exhibit’s theme of a weak, hapless Roosevelt who had no choice but to follow public opinion – an FDR who was a prisoner of the immigration policies carried out by the Hoover administration. The exhibit simply ignores the many extra requirements and burdens which the Roosevelt administration imposed upon visa applicants. As the exhibit moves into the 1940s, it makes new excuses for FDR’s indifference. “With America at war, Jews seeking to emigrate had almost no chance to escape,” a panel declares. Nonsense. Hitler’s Europe was not hermetically sealed during the war. More than 26,000 European Jews reached Palestine during 1941-1944. Some 27,000 Jewish refugees escaped to Switzerland and were granted haven during the war years (and tens of thousands more reached the Swiss border but were turned back). More than 7,000 Danish Jews were smuggled out of Nazi-occupied Denmark to safety in Sweden in 1943. Thousands more fled to Spain and Italy. One of the most egregious flaws in the exhibit concerns a proposal, in 1944, by a small government agency called the War Refugee Board. It tried to convince the president to grant temporary haven to hundreds of thousands of refugees for the duration of the war. An April 1944 Gallup poll – commissioned by the White House itself, to test the waters – found 70% of the public in favor. Keep in mind that polls are a central part of the exhibit. They demonstrate the extent of the antisemitism and anti-immigration sentiment that the exhibit says tied FDR’s hands. Scattered through the exhibit, there are nine large, lit boxes, each featuring a poll question; the viewer turns the box around to see the results. They all show strong opposition to immigration. Yet the aforementioned April 1944 poll showing a very different result is not shown. Acknowledging the wartime shift of public opinion would upset the exhibit’s major theme. Mention of the widespread public support for temporary havens would reflect poorly on President Roosevelt, who granted haven to just 982 refugees in 1944. Viewers would realize that the president’s hands were not completely tied, after all. And so the U.S. Holocaust Museum simply pretends there was no change. Here’s what chief curator Daniel Greene said, in an interview with the Jewish Telegraphic Agency, about public attitudes toward admitting refugees from 1933 to 1945: “Public opinion doesn’t move.” Yet the fact is that by the spring of 1944 – once the tide of the war had turned, and once Americans learned more about the mass killings – it did move. Greene told the Washington Post he “hopes visitors will emerge with an understanding that even the U.S. president faces constraints.” Visitors who are familiar with the events in question, however, are more likely to emerge disappointed that the U.S. Holocaust Museum has distorted the historical record in order to make excuses for inexcusable policy decisions. One shudders at the thought of museums one day conjuring up excuses for more recent presidents who likewise turned a blind eye to genocide or other atrocities around the world. Dr. Rafael Medoff is founding director of the David S. Wyman Institute for Holocaust Studies and the author of 19 books about Jewish history and the Holocaust, the latest of which is Too Little, and Almost Too Late: The War Refugee Board and America’s Response to the Holocaust.